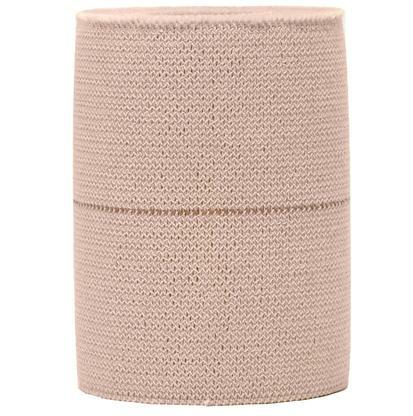 This product gives you flexibility when bandaging. Elastikon Elastic Tape Bandaging is made from high twist cotton and rubber based adhesive. It sticks to itself and allows you to bandage tricky areas, such as joints. The adhesive sticks to the cotton, so simply wrap and area and the tape will adhere to itself. A bandage designed to stick to itself. Elastikon Elastic Tape Bandaging is a breathable and flexible tape that allows you to bandage difficult areas. The rubber based adhesive and high twist cotton are elasticized. This allows freedom of movement and more options.